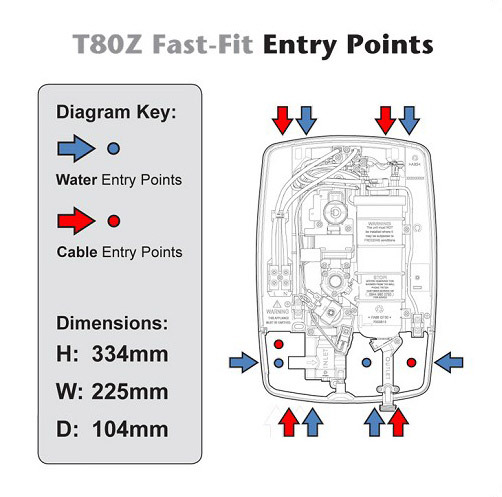 The Triton T80Z Fast-Fit is the ultimate replacement shower. It is easy to fit and accepts pipe and cable entry from all possible directions. 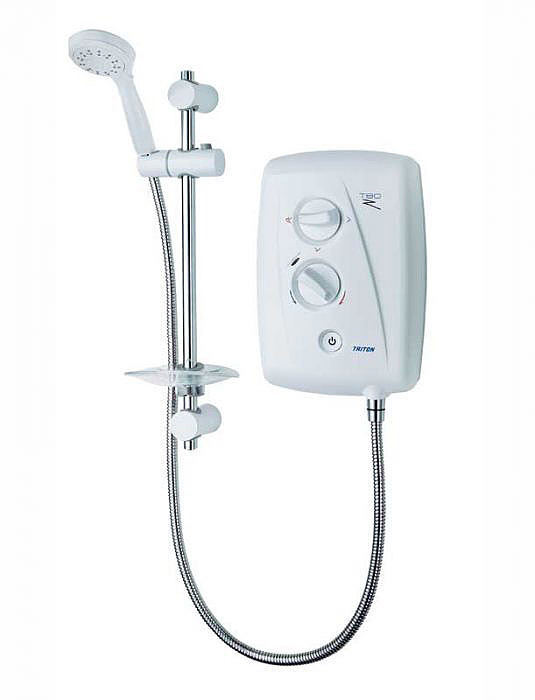 Within the shower, the Swing-FitTM wiring terminal can swing left or right to ensure any existing cable will reach the connection. Similarly, the Swivel-FitTM water inlet connection can swivel left or right to match the direction of any exising pipework. 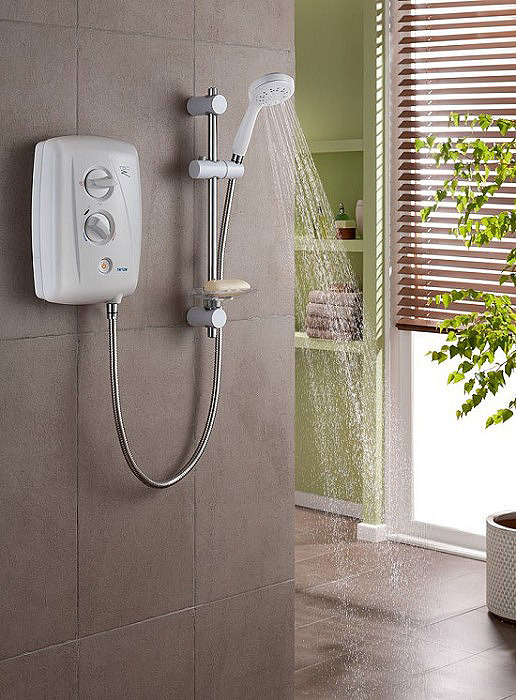 The T80Z is a seamless replacement, covering the footprint of most electric showers, and is unlikely to expose any untiled areas or unused fixing holes. The adjustable shower rail bracket allows flexible positioning of wall fixings within tiles or on grout lines (or the reuse of previous fixing holes). Additionally, the tapered backplate gives a sleek and neat appearance. Delivery: Delivery is £15.00 to all addresses in England, Scotland and Wales accessed by road.